SOLAR power to be installed on some of Mornington Peninsula Shire’s largest buildings is aimed at cutting carbon emissions and saving on power bills. In the second stage of the shire’s Solar PV project 584 panels will be installed at Rosebud Library, Mornington Peninsula Regional Gallery and Pelican Park. This is tipped to provide annual savings of more than $30,000 while cutting greenhouse gas emissions by 250 tonnes. In stage 1 of the project last year, Rosebud Municipal Office, Civic Reserve Recreation Centre and Hastings Library went solar with 822 panels generating 250 kW. 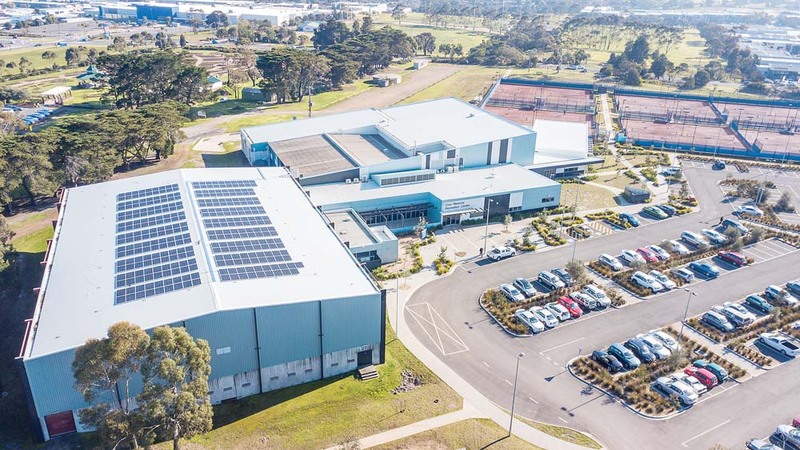 When the rooftop Solar PV rollout is complete, about 707 kW or 2440 panels, will sit atop shire owned and run buildings – expected to harness savings of more than $132,000 a year and cutting carbon emissions by 15 per cent. The mayor Cr David Gill said the shire was working towards having “carbon neutrality” by 2021. This included “innovative renewable energy, waste recovery and recycling activities, and assisting local businesses to make environmental upgrades that will reduce the carbon footprint of the entire region”. Last year the shire helped install 50kW of solar at clubs, including Mt Eliza Cricket Club and Sorrento Community Centre. HOT weather on Friday 25 January was the catalyst for 11 generators at five sites on the Mornington Peninsula being switched on to provide back-up power to the energy grid. It was the first time the “temporary” generators, all on private properties, had been used. Their contribution, described by Community Grid Project co-provider GreenSync as “modest”, reportedly enabled 3000 United Energy customers to stay connected to the grid on a day of rolling blackouts in parts of Mornington, Dromana and Frankston and 28 other suburbs. The demand-response project, co-developed by United Energy in 2016, helped the company defer a planned $30 million upgrade of poles and wires on the peninsula “while maintaining supply reliability” on days of peak demand. This typically occurs on one to five days a year – such as Friday – when everyone switches on their air conditioners. As part of the project, some of United Energy’s commercial customers have agreed to cut their power use when notified and be financially compensated. The Community Grid Project’s Jess Christiansen said as solar and battery storage uptake increased on the peninsula, the “need for generators will be reduced until ideally they are no longer used”.